Comment: I am reaching out for hep as I work for a general contractor as a superintendent and have not had luck with the subcontractor provided through the company. I Need a representative to walk site and provide a quote for the HOA on this residential and commercial project. This scope will be to install roughly 750 lft of gutter on scattered hip roofs throughout the perimeter of the building. Comment: I have a single story home that needs new aluminum white seamless gutters and down spouts. Comment: We are having a problem with water coming in over family room french doors and believe it is because we do not have enough downspouts for large roof that slopes towards back of house. Our gutters leak and are probably older and need replacing. Comment: Our house has old gutters and downspouts. They are leaky. I am looking to get them replaced. Comment: We need the gutters and downspouts replaced on our house and detached garage. They are in terrible shape. We're open to ideas on what type of gutters to get. Englewood Gutter Cleaning & Repair Services are rated 4.73 out of 5 based on 1,110 reviews of 40 pros. 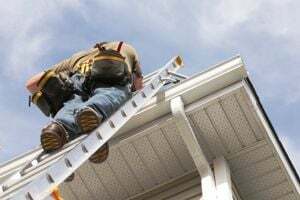 Not Looking for Gutters Contractors in Englewood, CO?